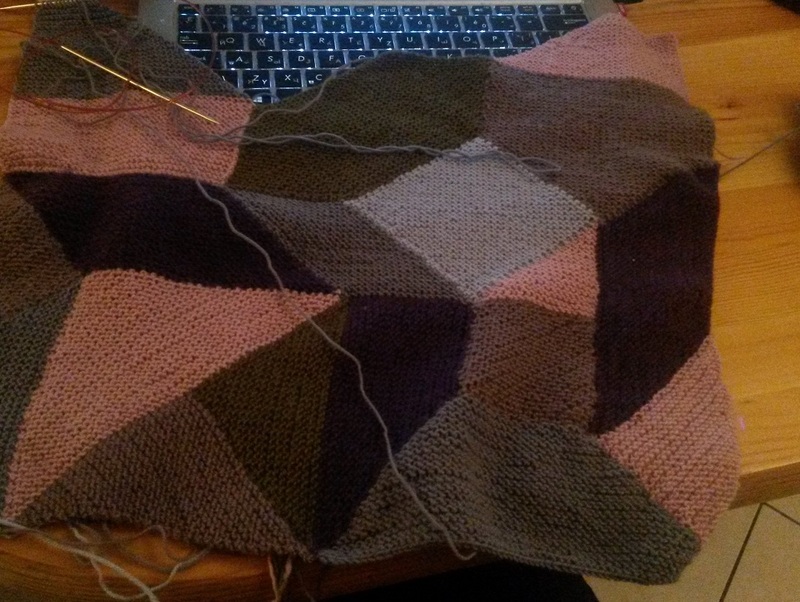 I am working away on my cushion cover – I only have 2 shapes left for this side. I have been ill this week, and this was just the perfect project. I love patterns by Woolly Thoughts in general. Also, the lace scarf I finished for my daughter in the end of last year – I think I finally have the pattern ready for testing, along with some videos to help. Separator image Posted in My kniting & crochet and tagged with garter stitch, knittng. Love the cushion cover, and so nearly finished. Oh I hope you’re feeling better soon! That is a lovely pattern. So nice with warm neutrals and a nice geometric pattern! Hope you feel better soon and the more I see of the pattern the more lovely it becomes.